In the latest episode of the Killer Serials podcast, Tony Jones and Ryan Parker unpack the first season of Russian Doll, now streaming on Netflix. They talk about the "coastal" character of the series, the salvific power of serving others, and the series portrayal of mental illness. In this episode of Killer Serials, Tony Jones and Ryan Parker discuss the new two-part HBO documentary series, Leaving Neverland, which chronicles Wade Robson and Jimmy Safechuck's accounts of their years-long experiences of sexual abuse by Michael Jackson. They talk about parental failure and if we can know whether or not we would have done better, celebrity as divinity, and the corruption of fame. 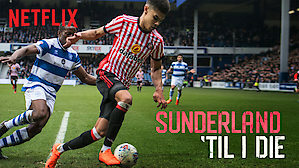 After a long hiatus, Tony Jones and Ryan Parker are back to discuss some killer serials, starting off this new season with Netflix's docuseries, Sunderland Til I Die. In this episode that talk about the culture, economics, and religion of sport, community, devotion, and manager as Messiah. Tony Jones and Ryan Parker discuss the final three episodes of the Netflix western, Godless. They talk about whether or not this should have been a film, quick deaths, magnificent shootouts, and an unforgiveable massacre. Tony Jones and Ryan Parker are back after a long break to discuss the first two episodes of the new Netflix series, Godless. They talk about the myth of the wild west, the theological/religious implications of the series' title, and the problems of having, in part, an all-female setting, but few, if any, women in the writers' room. A conversation about the Sundance Channel series, RECTIFY, with Rev. Mark Reisinger, the Pastor of Beaver Memorial United Methodist Church in Lewisburg, PA.